RAD Stickers + Doodads was created in 2012 by Carly Rumpf when she was in design school. Carly's passion for food, puns and simple yet hilarious illustrations lead her to create her first few sticker designs which later spun into more, and more drawings and doodles. 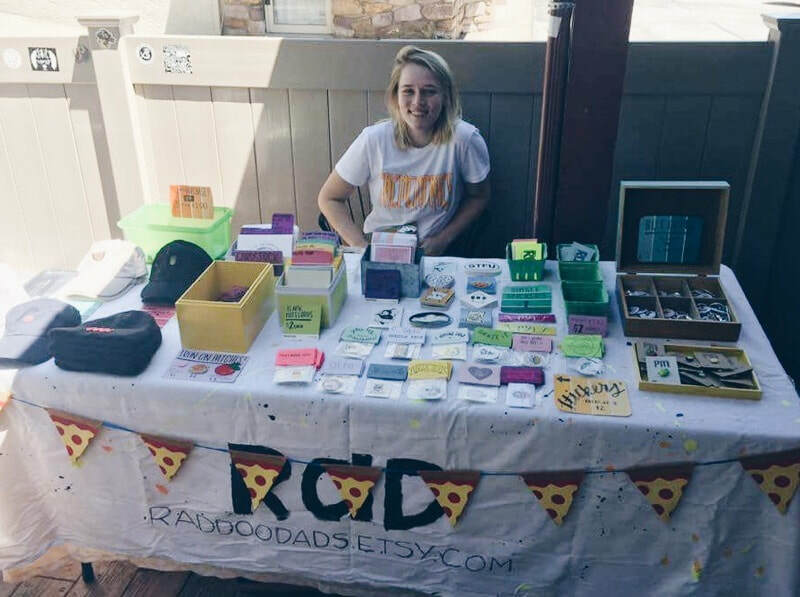 RAD Doodads initially began selling its products on Etsy but now has expanded to many different online platforms including Depop, Redbubble, and Teepublic. RAD also is constantly looking to sell at local flea markets or craft fairs in Pennsylvania, New Jersey, Delaware or New York. RAD Stickers + Doodads also accepts wholesale orders! If you have any questions or inquiries about markets or wholesale, please contact Carly.